The purpose of "AriA Solo per il volo" is to train, promote and develop human flight and present it through pictures and videos transmitting the feelings and sensations while inspiring a broader range of audience. “ A man in the atmosphere, without the help of any tool or machine, only with his own body, can decide the direction and speed with which he moves towards the Earth... He is not falling... He's flying. AriA wants to capture this experience and transmit it to the public. For this purpose, AriA is involved in the production and realization of events, photography, videos, movies, sports challenges, and gives its service as a consultant and organizer for Airshows and Events. Freefly TM Instructor License, Italian License. Helmets + Suits + Accessories R&D + Testing. Chevignon, Diesel, Nose, Everlast, Geo Spirit, Extè, Acht, D&G, Think Pink, Fila, Oxs, U.S.Roads, Cat. TV Commercial for INVICTA backpacks 99 (16mm). Norman Kent's movie: "Willing to Fly". Max, Glamour, Volare, Gazzetta dello Sport, Soprattutto, Vivo, Focus, Skydiving, Parashutist, Para-mag, Spazio Verticale, Skydive Mag, Air Press, Drop zone, Mag, Vanity Fair, Rolling Stone. "The Cloud's Edge", "Worthless eye candy", "Millenium 2", "Olav", "Space Games 10", "Willing to Fly", "Down Ward". Gold Medal Italian Freestyle Championship, Rome. Silver Medal Italian Freestyle Championship, Rome. 5th at SSI PRO TOUR Free Fly World Championship. Gold Medal Italian Freestyle Championship, Arezzo. Silver Medal Freestyle, World Cup, Evora, Portugal. Gold Medal Italian Freestyle Championship, Udine. Gold Medal Italian Free Fly Championship, Udine. 1999-2001 Gold, Silver and Bronze Medals in various editions of Space Games, Freefly, USA. Gold Medal Free Fly, World Games, Akita Japan. Gold Medal Freestyle, World Air Games, Granada, Spain. 4th Free Fly, World Air Games, Granada, Spain. Gold Medal Italian Freestyle Championship, Verona. Gold Medal Italian Free Fly Championship, Verona. "Best TV Images" Award Golden Gala, Torino. "la Toretta" Award, under the patronage of CONI, and the Italian Sport Press Association. Medal for Athletic Value, from CONI (Italian National Olympic Comitee). 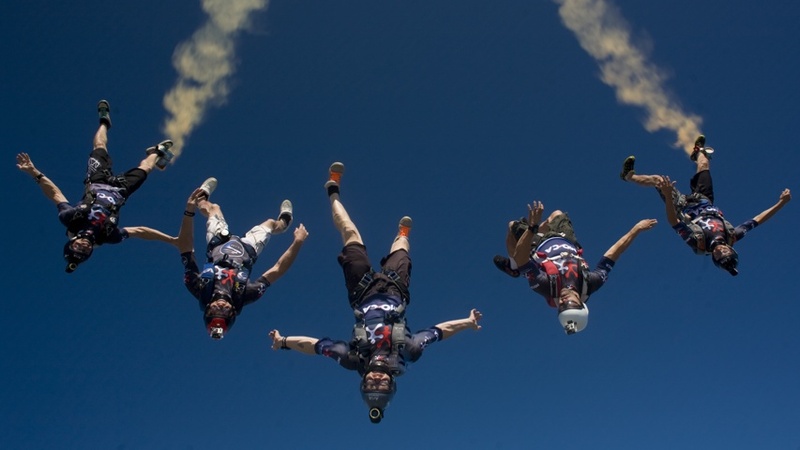 World Record Freefly - 24 people. 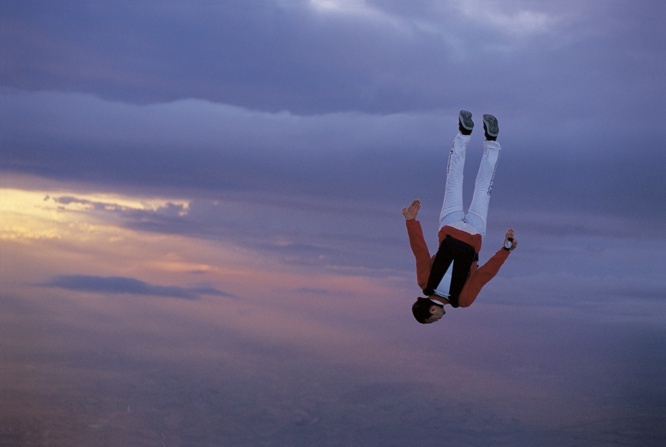 Italian Record Freefly - 16 people. 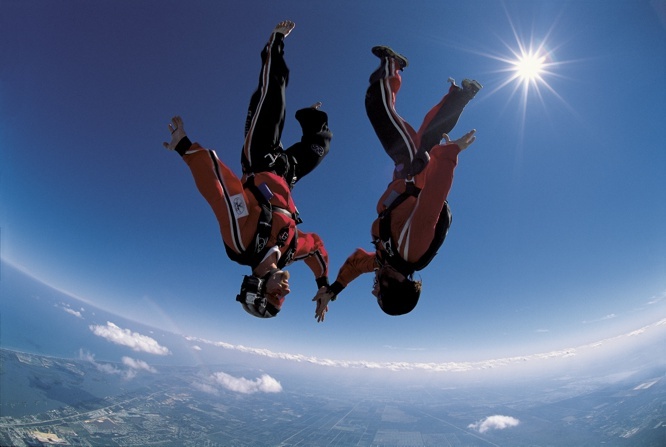 Euro Record Freefly - 28 people. Euro Record headdown formation - 40 people.